The WET MOP works great for wet mopping and is the Eco-friendly answer to costly disposable covers. The Cotton yarn is very absorbent and the ridges in the cover are super for trapping dirt. Use with your favorite floor cleaner. The Dry Mop works great for dusting and is the Eco-friendly answer to costly disposable covers. The ACRYLIC yarn creates static so more dust is picked up. The ridges in the cover are super for trapping dust and dirt. These Mop covers are Re-usable and reversible, you just turn it inside out and keep cleaning, then just throw it is the wash.
★ ★ IMPORTANT PLEASE READ - These are for the Swifter sweeper and the *older model of the wet jet (the one that has the sprayer in the center), not the newer wet jet that has two sprayers on the each side. If you have any questions please feel free to message me.If you would like to see other colors, please let me know. These are made as they are ordered, so please allow up to 2 weeks for them to be made and shipped (although this is worst case scenario). Please note that actual colors may vary slightly due to variance in computer screens and dye lots. 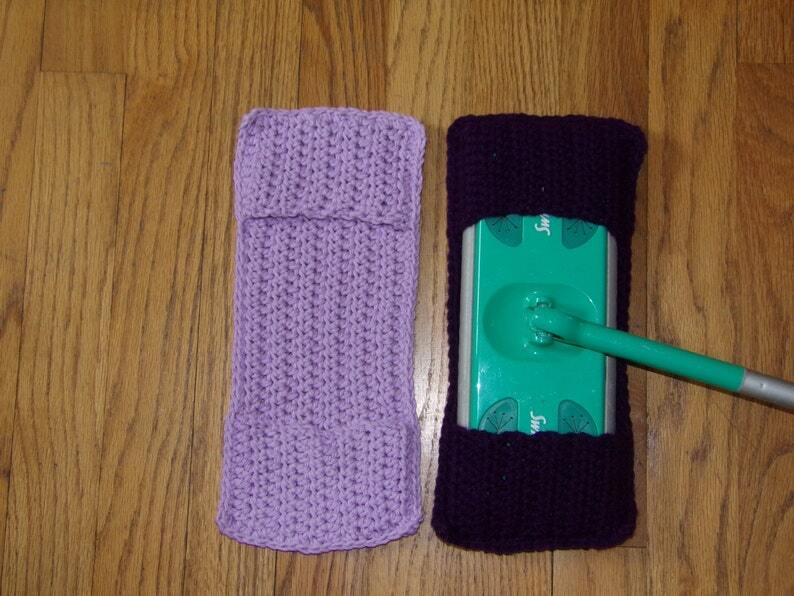 Remember - this item will be handmade especially for you - your Swiffer cover may not look exactly like any others!